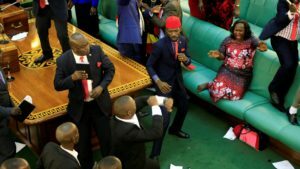 Four of the five members of the panel have said that the amendment of article 102 (b) of the constitution also known as the age limit Bill did not contravene the constitution, neither did it contravene parliament’s rules of procedure as indicated by petitioners. 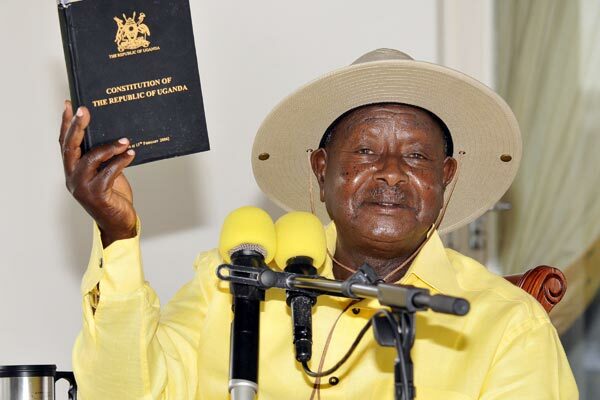 “Since Parliament exercised the power given to them in amending the constitution, I find no fault in how this was done. Therefore, it is my conclusion that the amendments were done with full compliance to the rules of procedure,” said the DCJ. 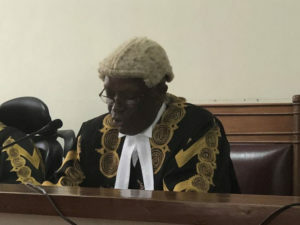 Owiny-Dollo, the last of the five judges to deliver his judgement also observed that framers of the 1995 Constitution never treated article 102 which is on the presidential age limit on the qualifications of the president as a fundamental feature of the constitution that required entrenchment. The five judicial officers however unanimously rejected the MPs’ extension of their office tenure from five to seven years. Justice Cheborion Barishaki in his ruling said that the MPs acted in selfishness and were serving their interests. “Parliament did not have authority to amend this section without considering other sections of this constitution. They are unconstitutional and therefore fall by the wayside,” he said. Barishaki added, “It was selfish and goes against the principle of good governance. If it had been done in the will of good governance then it would have taken effect in next parliament. Therefore, these provisions were passed in disregard of various provisions of the constitution and parliament rules of procedure.” This was echoed by all the five justices.